Just Flight's 146-200/300 Jetliner for FSX and P3D features this short-haul favourite in 21 liveries with a superbly detailed virtual cockpit, custom lighting effects, accurate external animations, custom sound set and authentic flight dynamics. A host of cockpit systems are accurately simulated and a comprehensive manual with a tutorial flight will have you up in the air in no time! Short haul – high density! With its high T-tail, stubby undercarriage, drooping anhedral wing, four engines and highly distinctive butterfly-style air brakes, you can't mistake the 146-200/300 series of aircraft! The 146-200 design was originally started by Hawker-Siddeley in the UK in 1973 and production started in 1983. 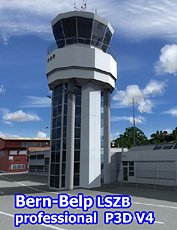 Now Just Flight brings you the superb 146-200 and 146-300 models for FSX featuring a highly detailed external model, 21 authentic airline liveries from around the globe, an extremely accurate virtual cockpit (VC) and even a cabin view. A custom sound set uses sounds recorded from the real aircraft to reproduce perfectly the distinctive sounds of those four quiet engines that allow the real aircraft into noise-sensitive airports around the world. With a great flight model and the powerful and unique speed brakes it’s time to practise your short runway landings! High quality 2D instrument panel. Fully simulated Smiths SEP 10 autopilot with every available mode simulated: GSL, ALT, ALT ARM, VS, MACH, IAS, V/L, B LOC, TURB, SYNC, HDG and LNAV modes. LNAV following FSX GPS flight plan. Layered paint kit included so you can create your own liveries (suitable additional paint program such as Photoshop required). Highly tuned 146 FDE based on detailed documentation and flight-tested based on FAA simulation requirements with improvements to 146 performance based on additional pilot input and performance charts.